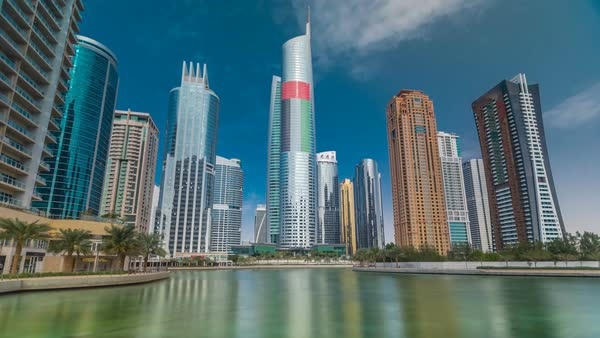 Jumeirah Lakes Towers, also known as JLT, is conveniently located on Sheikh Zayed Road opposite the Dubai Marina between interchanges 5 and 6. This project is a blend of residential and commercial units, hotels and retail outlets. The development is grouped into clusters, each consisting of three high-rise tower blocks around four large lakes filled with sea water pumped from the Gulf. 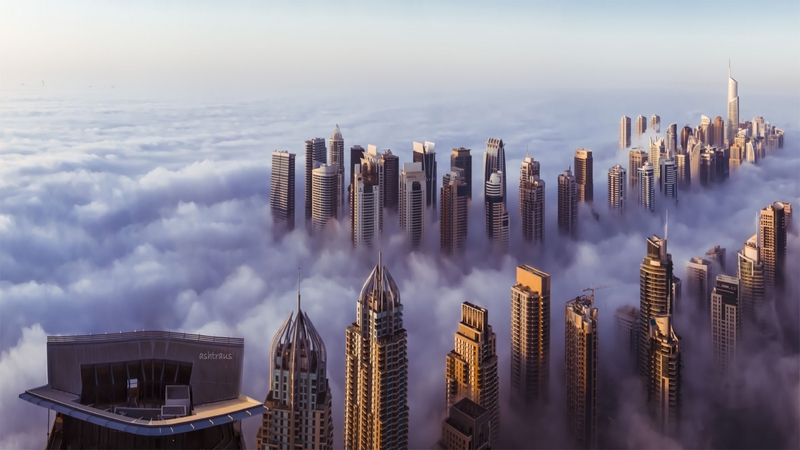 If you’re afraid of heights, JLT is not the place for you. For those who like high-rise buildings and great views, JLT is an ideal place to live. It offers a good and affordable quality of life. 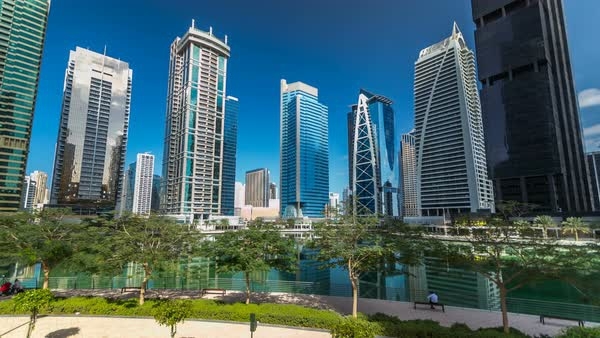 The area attracts a lot of professionals and small families and although it is not regarded as high-end as the Dubai Marina, it’s more peaceful and serene. All clusters in JLT have their own array of convenience stores. There are many coffee shops and restaurants to choose from. The lakes and play areas make it a great community to live in. There are also some great spots to hang out like the McGettigan’s Irish Pub at the Bonnington Hotel, which offers brunches and quiz nights. JLT is one of the largest and fastest growing free zones in the UAE. DMCC (Dubai Multi Commodities Centre) is the licensing authority of JLT which will help set up your business. If you are looking for accommodation in this area, there are a few hotels to choose from in JLT. JLT is located in the heart of new Dubai and is quite close to Abu Dhabi making it an ideal residential place for those who commute to and from Abu Dhabi. There are two metro stations, Dubai Marina and Dubai Jumeirah Lakes Towers, servicing the area. One drawback is that the area is not easy to get in and out of and the one-way traffic system can mean driving a long way around to get to and from certain clusters. Some of the towers in the development have been put on hold due to the economic downturn.